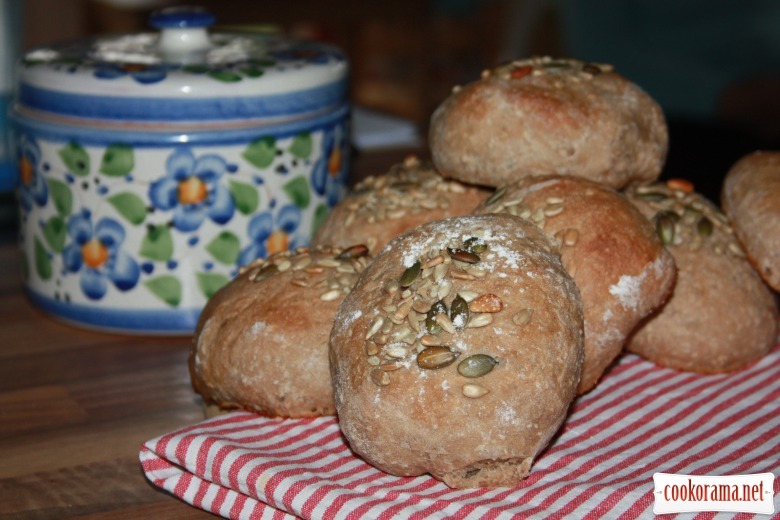 Wheat-rye buns with seeds "for breakfast"
Булочки пшенично-житні з насінням "до сніданку"
Delicious and healthy buns, long kept, besides they can be frozen. Mix twice sifted flour with yeast and salt, add warm milk and knead dough.At the end add melted butter and knead again well. (The longer you knead, the better and more tender structure will have buns).Ready dough should be shiny and smooth Form ball from dough, put in deep bowl, cover with food film (grease with oil)and put in warm place for 20-30 min (dough increases in volume in 2-3 times). Knead again well, divide in 12 parts, form buns and spread on oiled baking sheet and put in warm place for 10-15 min. Before baking grease with milk and sprinkle seeds (whatever you like) and bake in the oven for 15-20 min at 200℃ (depends from type of oven). Cover ready buns with kitchen towel and let them cool completely. 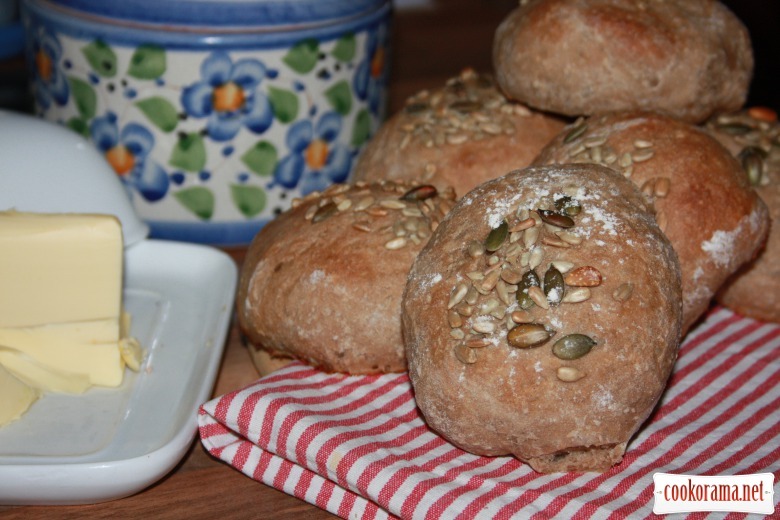 Top of recipe "Wheat-rye buns with seeds "for breakfast""
А у піст молоко замінюю на воду, а масло на рослинну олію. 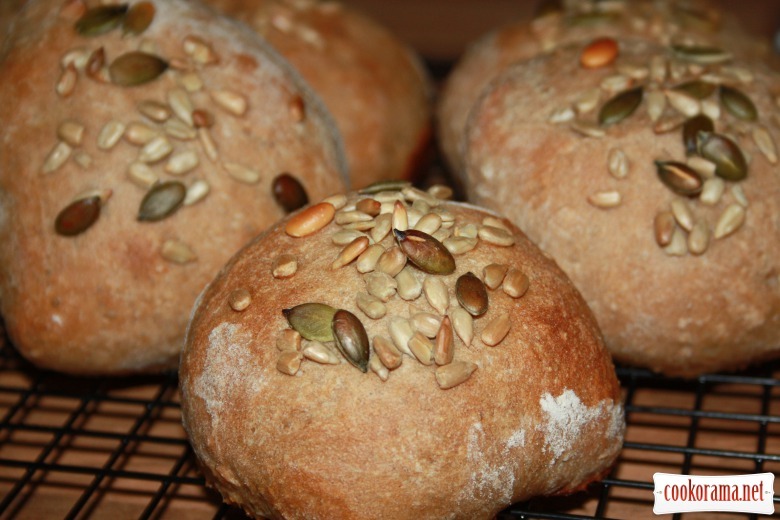 Recipes, Buns, Wheat-rye buns with seeds "for breakfast"